Little, Brown Books for Young Readers, 9780316369831, 40pp. 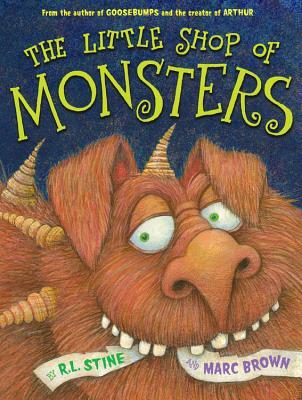 A frighteningly fun picture book adventure from two monstrously talented children's book icons--Marc Brown and R.L. Stine! R.L. Stine is the creator of the bestselling Goosebumps series, which inspired the popular television show, as well as the Fear Street series and many other spooky tales for children. He has also written dozens of joke books for kids. Marc Brown is the creator of the bestselling Arthur Adventure book series and creative producer of the #1 children's PBS television series "Arthur." He has illustrated many books for children, including Marc Brown's Playtime Rhymes, Ten Tiny Toes, and Wild About Books.